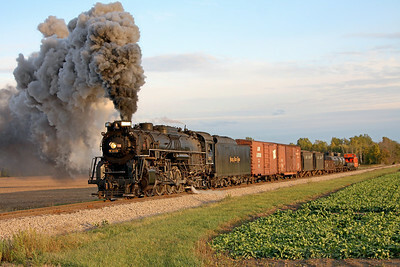 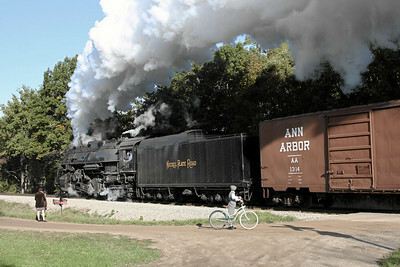 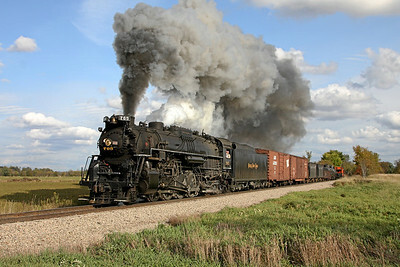 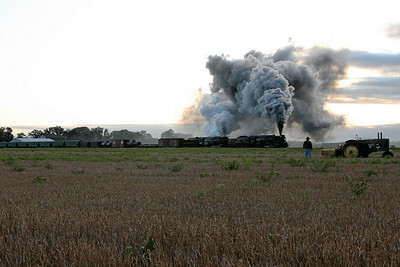 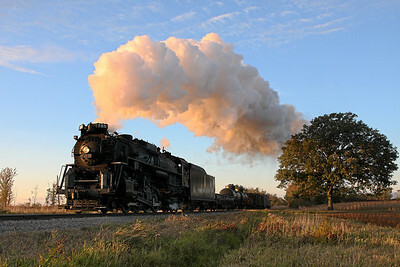 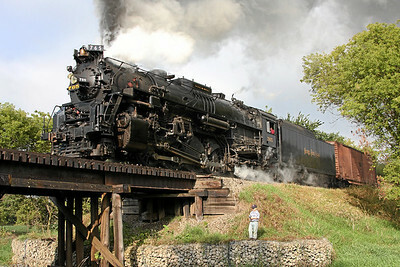 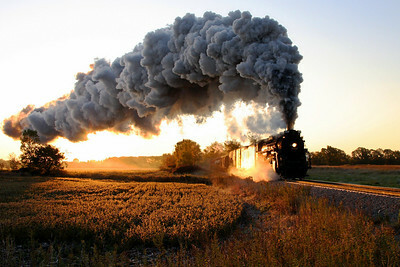 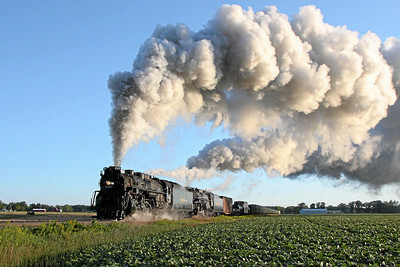 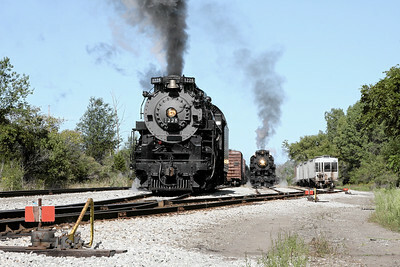 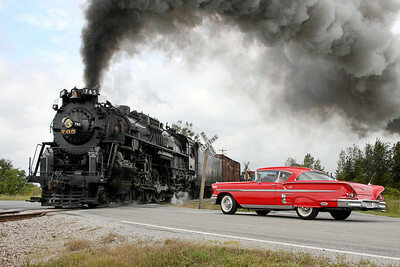 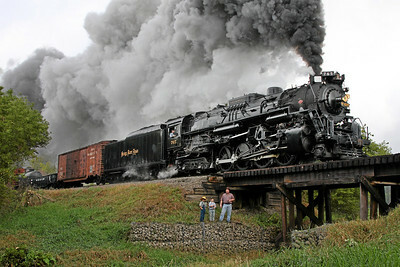 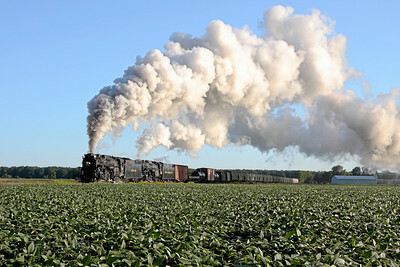 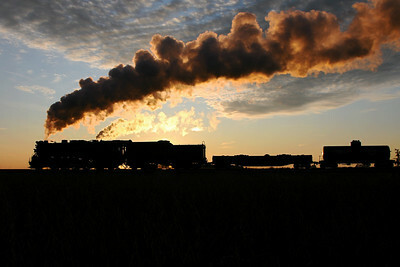 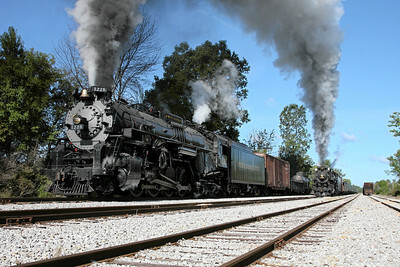 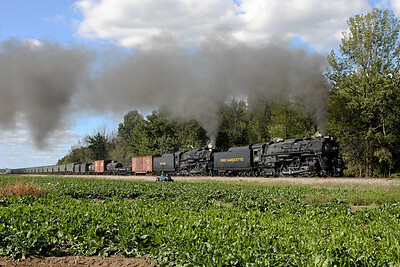 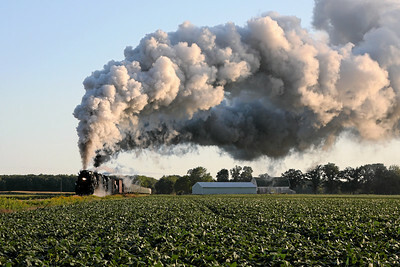 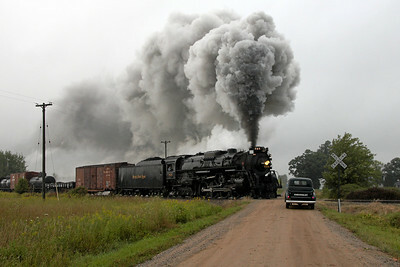 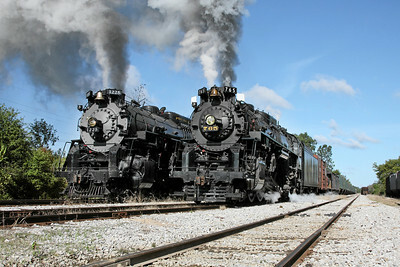 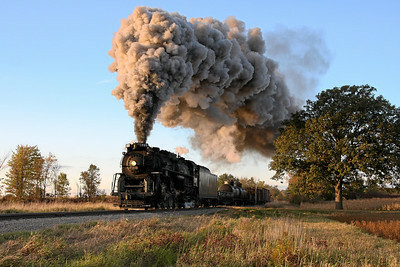 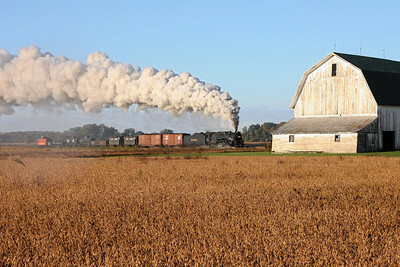 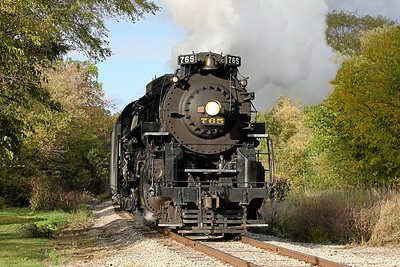 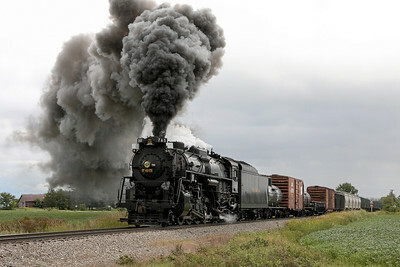 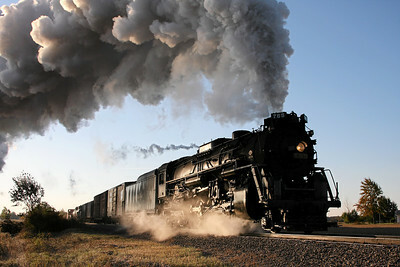 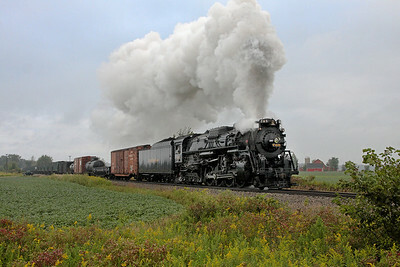 In July 2009, seven steam locomotives were brought to Owosso, Michgan where they joined museum host's own Pere Marquette 2-8-4 #1225 (Lima built 1941) for a celebration of steam railroading. 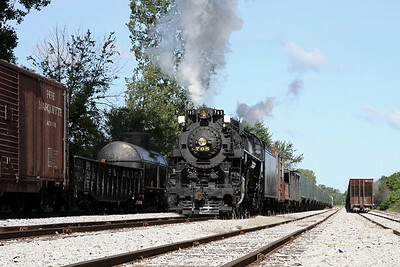 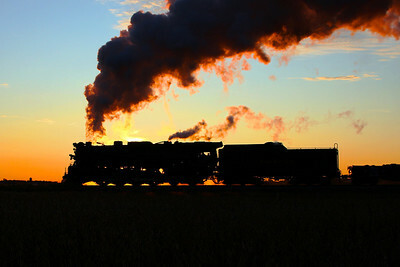 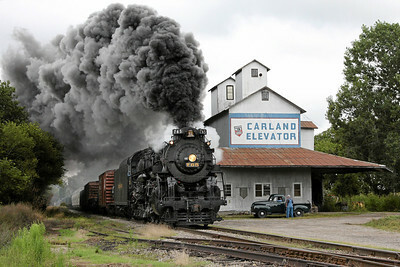 Visiting locomotives in attendance included Southern Pacific Daylight 4449, Nickel Plate 765, Little River 110, Little River 1, Flagg Coal 75, Viscose 6, and Leviathan 63. 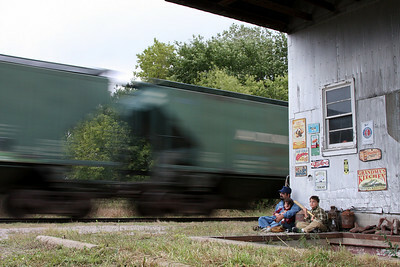 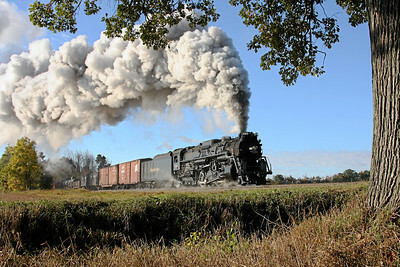 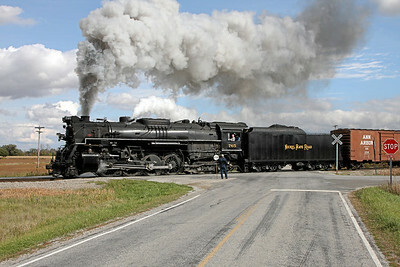 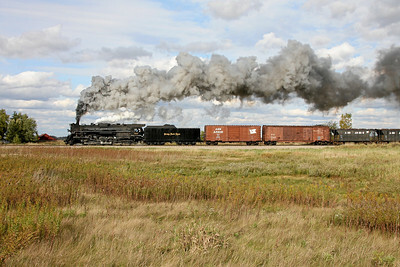 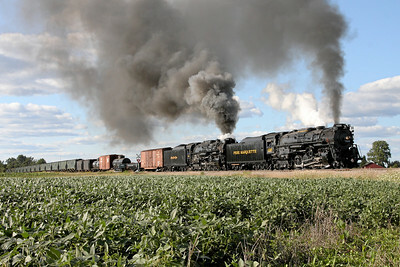 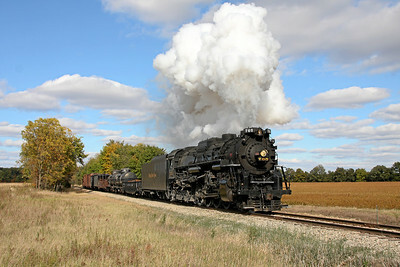 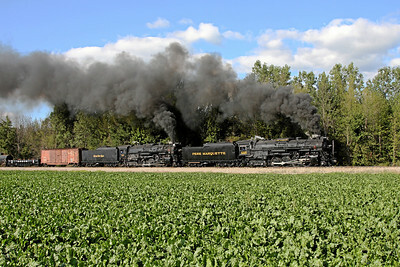 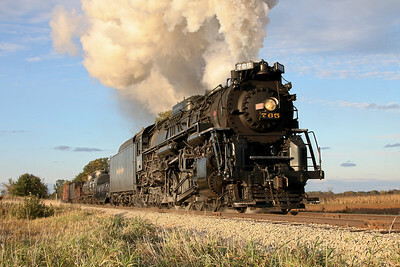 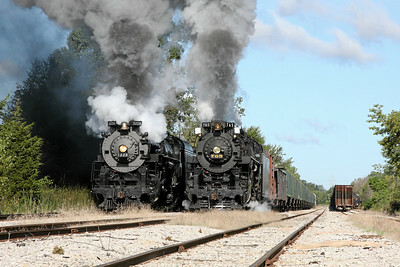 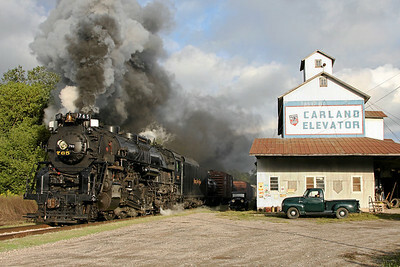 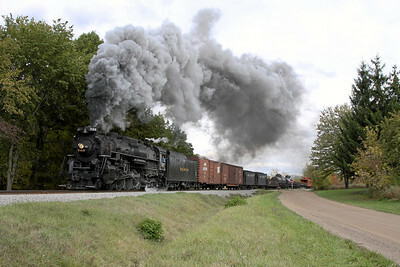 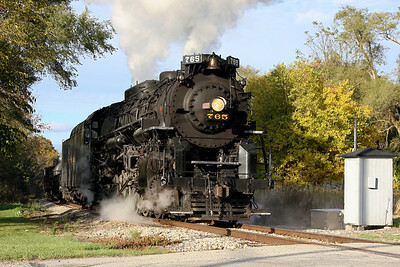 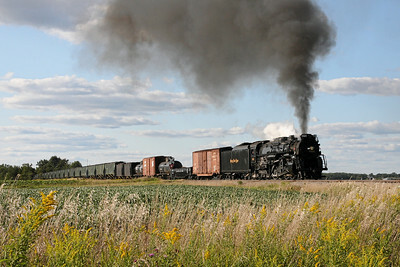 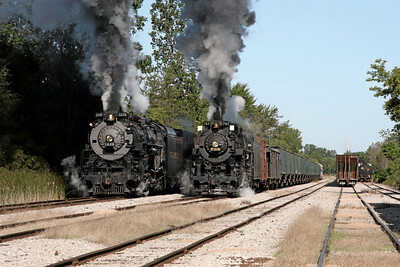 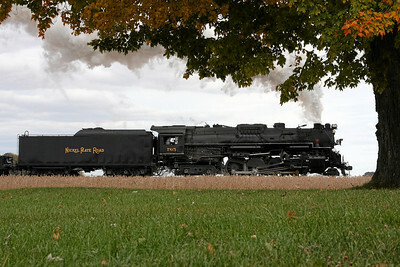 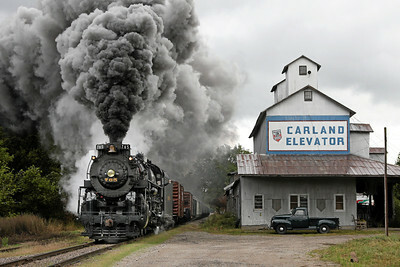 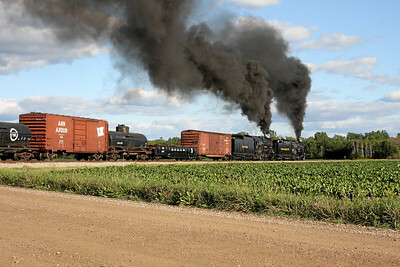 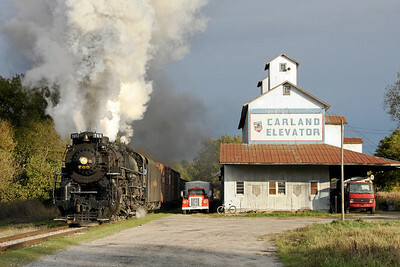 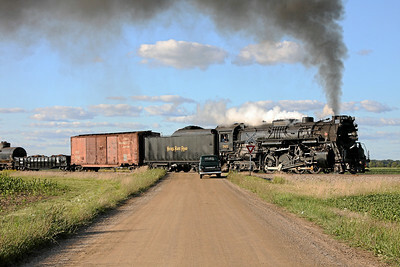 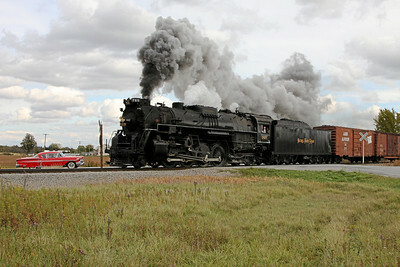 This gallery also includes photos from August 2009 and October 2009 featuring #765 and #1225 hauling freight trains in and around Owosso. 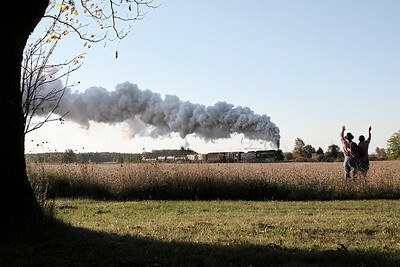 For more photos, see the SRI in Winter Gallery and SRI at Night Gallery.